It's always fantastic to be asked to show off a new book cover for the first time and I particularly loved this one. I'm sure it will appeal to most readers and draw them into picking it up with the amazingly eye catching and rather abstract image. It is very imaginative and uses a great palette of colour - it really should stand out from the crowd! This new and exciting adventure series will appeal to both boys and girls. With a strong mystery at the heart, the characters cross Europe on a thrilling quest against time! This could be the Da Vinci Code for kids. If this sounds like your kind of book, then you will unfortunately have to wait until the 14th January 2016 to read it. I apologise now as I know that is quite a wait for such a fantastic book. 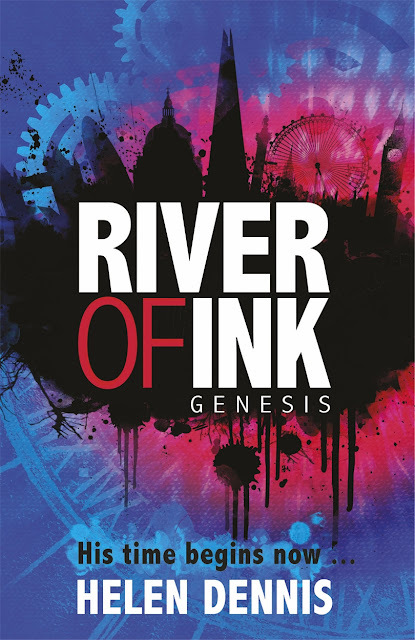 River of Ink will be the first installment in this new series and will be published by Hodder Children's Books in the U.K.
Book Synopsis: What if a teenage boy washed up on the banks of the River Thames, soaked to the skin and unable to explain who he is? About the Author: H. L. Dennis was born in Brighton, England. She works part time as a Junior School teacher and has done for 20 years. She lives with her husband, daughter and the laziest dog in the world, in a house at the bottom of the Downs on the Sussex coast in Eastbourne. 'Secret Breakers' is her first series of published books and has already been translated into seven languages.